Ever got a project for a simple WordPress website, with a low budget and you just have to do it? Here are 7 simple steps to follow to get the maximum efficiency and the shortest flip time possible. The usual step that WordPress theme “hunters” make is to go on the popular lists and download one of the best-selling themes. Those themes do offer a huge variety of features, options, and possibilities and you can build almost any site from them, but the redundant pages, features, choices spend your precious time. On the other side spending, some more time on browsing for that perfect niche WordPress theme will cut your creating time drastically. I consider this the single most important step on this list. Spend extra time to browse for that perfect theme, to get close to »out of the box« solution for your site. 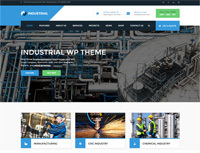 For example, we used Industrial – Manufacturing WordPress Theme for Concrete factory website project which suited us perfectly. Quite a few premium niche themes now offer multiple fully installable demos. 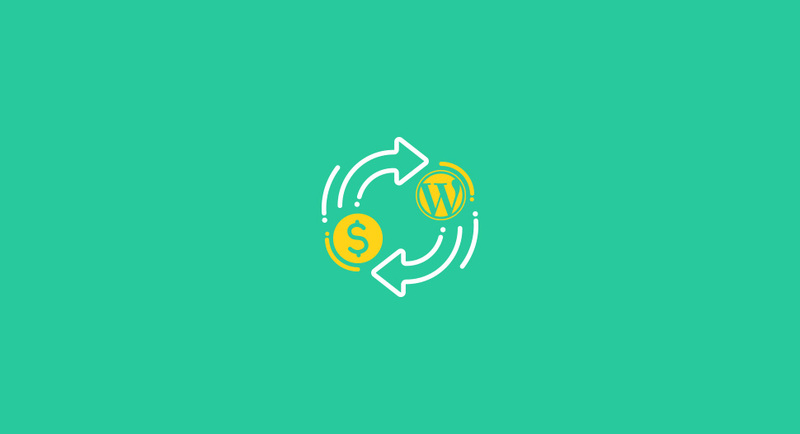 This will narrow the selection process even further and make your WordPress theme building even faster. And with one click demo installations which, for example, Industrial offers, installing will be a breeze. Usually, premium themes demo installations come packed with pages you do not need. Removing them is painless, just delete the pages you do not need or you can just remove links and menu items if you want to keep pages backed up for future use. At this point, it’s time to first change all the logos (header and footer), favicon and other branding graphics. I suggest in this step you also edit all fixed pages and widgets which are generated trough out the site. Usually, premium niche WordPress themes, do not include demo images and in most cases, you will be using your client’s images anyway. 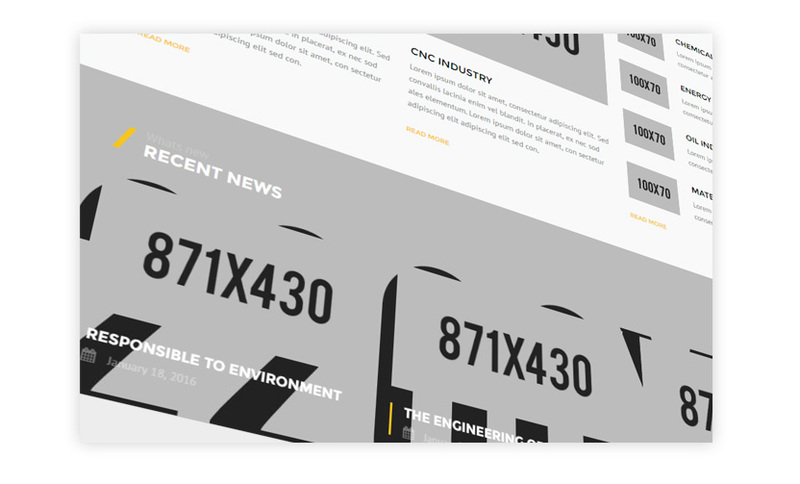 Be sure to edit the images to the size which is presented in placeholders in demo content installation, so you do not have to adjust any design aspects. After that, it’s just the question of uploading those images to the elements you used. Create your content as close as you can (considering length) to the demo content. In this way, you will jump over the workload of additionally editing shortcodes and styling to achieve the maximum design level. Installing Yoast will help you to analyze your content and missing elements to maximize the SEO impact and rank your site better, which in our experience is number 1 concern for clients. Premium themes offer you a chance to drastically shorten the time and cost of building a website. Niche premium themes can further on extend that time/cost savings. However, there are some learning curves, especially if you did not encounter WordPress earlier, but it’s nothing scary which could not be handled with documentation and great support. 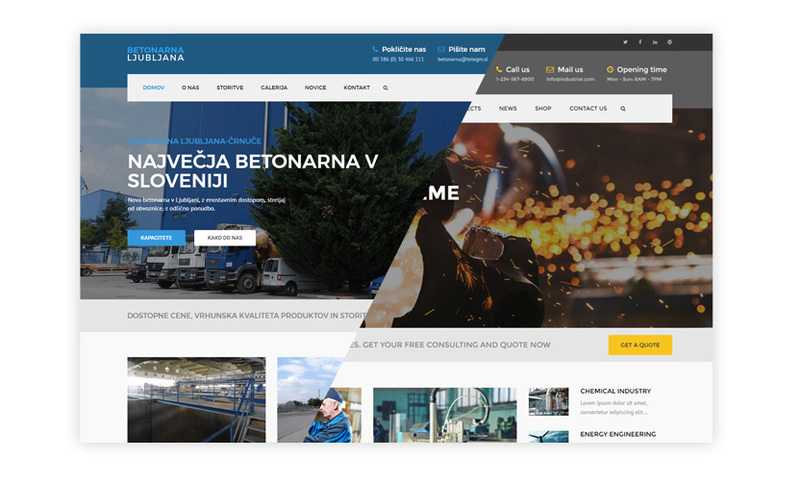 Betonarna-ljubljana.si was build with Industrial WordPress business theme. It is focused on building websites in the Industrial, manufacturing, factory company niches. The theme includes Visual Composer, Revolution slider, WooCommerce support and advanced admin panel.